Degup jantungnya berdetak kencang, bersiap berlari lebih cepat, ketika akhirnya terbangun dan berkata: aku tidak bertiup dari laut ke darat. Ia memang suka bersuara, namun hanya cukup untuk lembaran daun dan dirinya. Ia memang suka berteriak, didengar hati, bukan dirasa mata. I recently worked on a personal website redesign project for a client I met on Upwork. He is an expert on the Paleo, a word I’ve never heard before at that time. After working on the project for a while, I learned that Paleo is a way of life (combination of nutrition/diet, lifestyle, and mindset) based on the Paleolitikum years. Apparently, man living in that era lived a better life and ate better food than we do now. The hunter-gatherers (a group that were assigned the tasks to search for food) chose food with high nutrients that are important for the cells in their bodies. Long story short, after reading some posts on The Paleo Pi, The Paleo Diet, and some other resources, and after being amazed by a Ted video of dr Terry Wahls (she fought her Multiple Sclerosis with no drugs, for crying out loud! ), I decided to give it a try. Basically, a Paleo diet includes a lot of vegetables, nuts, grass-fed meat or fish or seafood, and some other things I don’t remember (please pardon me, I just started my journey on this one), and avoids dairy products, legumes, grain, etc. If you want to know the details, just Google “Paleo diet”. There are tons of references about it. 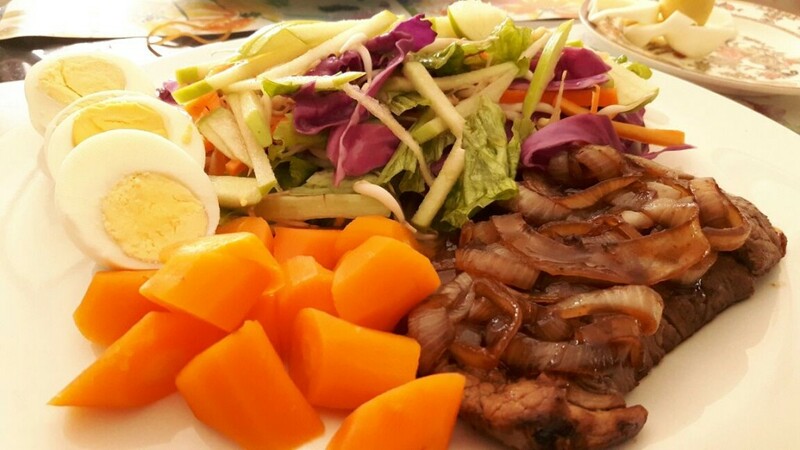 So, I began my journey by cooking a steak with a boiled egg and carrots, and a salad made of raw carrots, red cabbage, lettuce, bean sprout, a Granny Smith apple, served with honey, lemon juice, and olive oil dressing. Here was my lunch. Afterwards, I played some badminton for about two hours, since outdoor activities and workouts are important for a Paleo lifestyle (the hunter-gatherers do hunting to keep their body in good shape). For dinner, I had a bowl of Yong Tofu that consists of a piece of green pare, some seaweeds, fish meatballs, and a tofu. I’m not sure if tofu is allowed for a Paleo diet, but I think for starter, it doesn’t really matter. That pretty much wraps up my first day on the Paleo diet. Pray for me so I can stay on this diet and lifestyle in a long time without looking back! 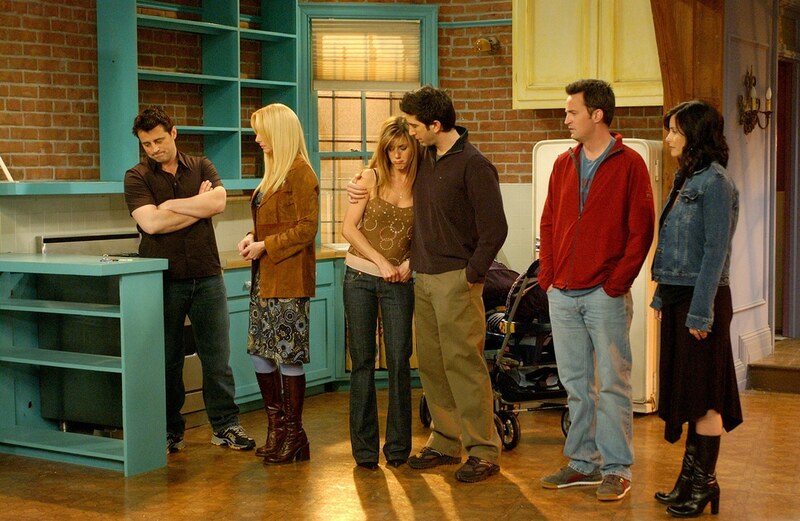 There is this scene in the last episode of Friends which all of casts stood together in Monica’s empty apartment, tried to recollect the memories they shared together in the apartment. The scene depicted the farewell perfectly. I’m lying on my bed while writing this post, staring at the empty bedroom, feeling blue, knowing just how hard it is to say goodbye to the place where you crafted so many memories in. It’s hard to pack all the stuff in the boxes. It’s hard to think that this room won’t be mine anymore. It’s hard to put all the memories in those boxes, close them, and to know that I’m gonna really miss it..